We have all heard the saying “New Year, New You.” It is a common theme and rallying call every year to try to motive people to get in shape and make other changes in their lives in the next year. Unfortunately, it is a lot easier to say that you are going to make changes than it is to actually make them! I have experienced it many times – I start out motivated at the beginning of the year and sometimes that lasts for a month and sometimes two, but inevitably, after a couple of months, I start falling into the same old habits. It can be discouraging to see this happen all the time, but I still think that it is important to resolve to do better each year. Even if it is hard, any effort towards being better is a good effort! This year, I really want to try to make small changes rather than anything huge. I am a big believer in the “baby steps” method of making change in your life. I feel like if you have a very big, very difficult end goal, it is a lot easier to get discouraged. That is why I love setting short term, and easier goals that can help me reach those big goals later. One thing that my husband and I need to improve on is making sure that we eat breakfast every day. My husband gets up early to go to the gym and then work a lot, so most of the time he forgets to eat breakfast, or chooses not to. I am home with the boys a lot of the time, but I neglect to eat breakfast sometimes too. In order to make it easier, I am trying to collect a variety of easy to make, healthy recipes that my husband and I can both make with very little effort. 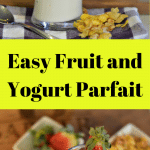 The first of these recipes that I want to share with all of you is this recipe for Easy Fruit and Yogurt Parfait. 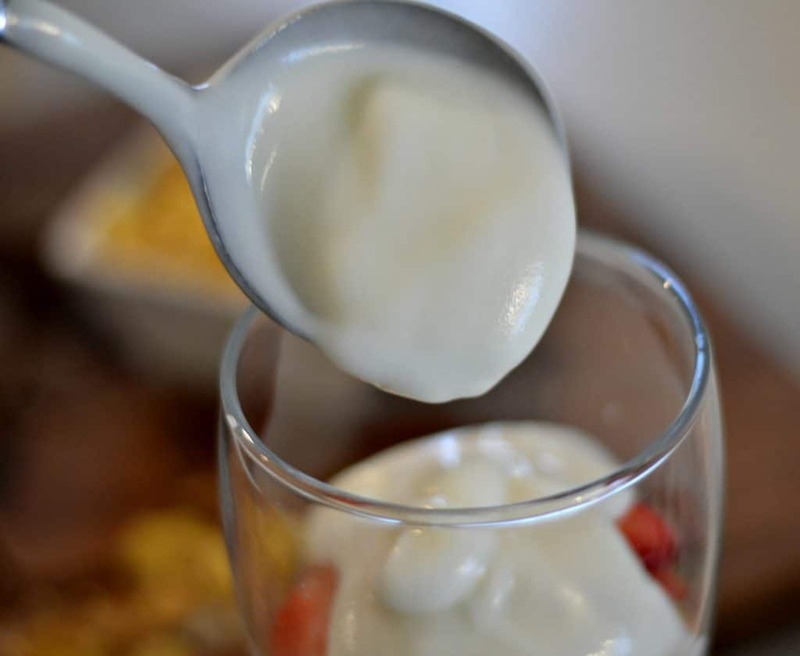 I am a big fan of yogurt – especially when it includes fruit and some type of oats. 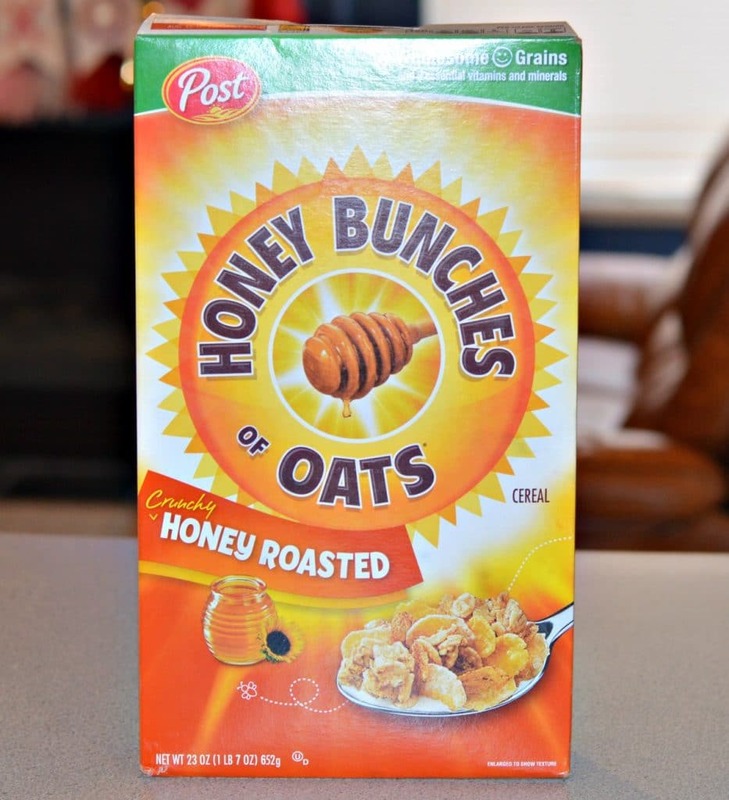 One of our favorite cereals at our house is Post® Honey Bunches of Oats® cereal. It is so tasty and is a perfect way to start the day. That is why I decided to use it in this recipe. 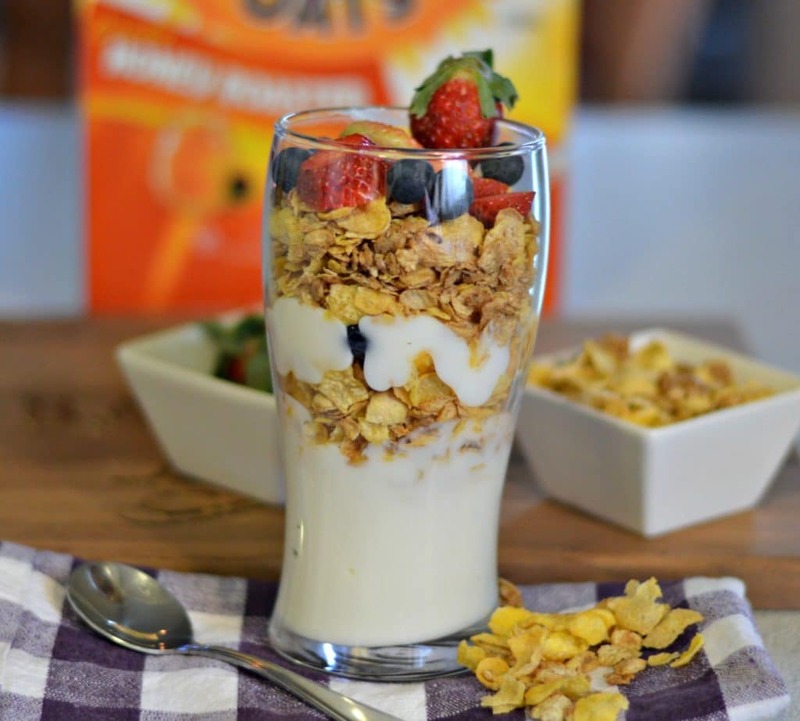 Instead of making just a standard yogurt parfait with fruit, I decided to add the Honey Bunches of Oats® cereal to give it a great crunch and to add even more great flavor! Right now, you can even get a coupon so that you can stock up on it for less! Get the coupon here. This delicious parfait is easy to make. All you need is vanilla flavored Greek yogurt, a couple of cups of Post® Honey Bunches of Oats® cereal, and chopped up strawberries and blueberries. 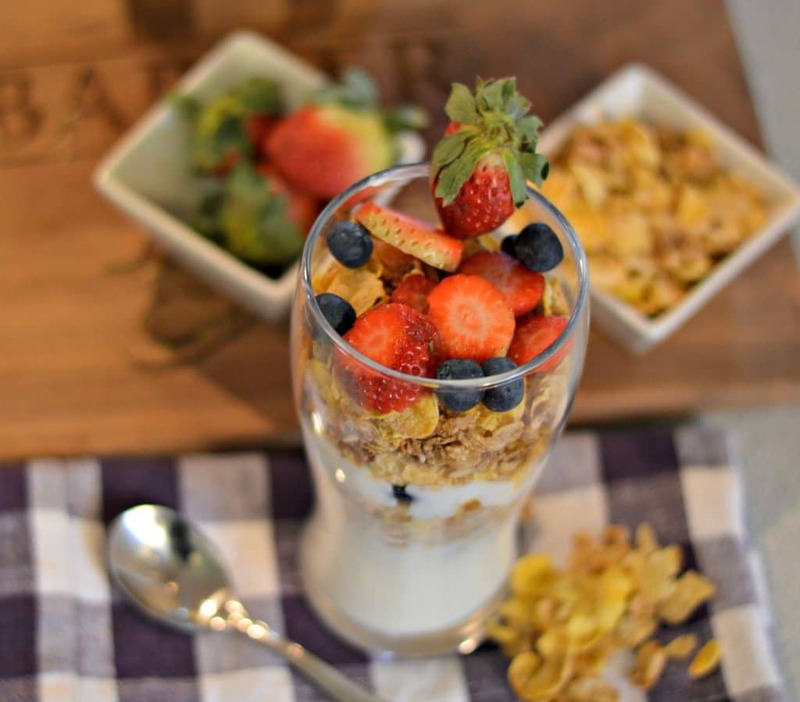 Start by adding a layer of yogurt, then add a layer of Honey Bunches of Oats® cereal, repeat one more time and top with the strawberries and blueberries. This is definitely a great choice for breakfast, and I hope that by coming up with recipes like this, we are able to improve our mornings and improve our year! 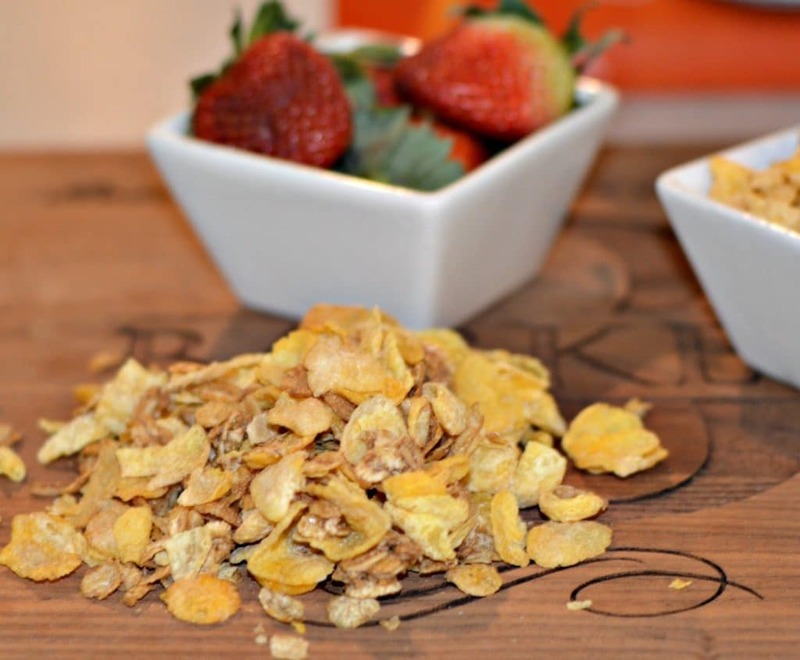 What are some easy breakfast recipes that you like to make? 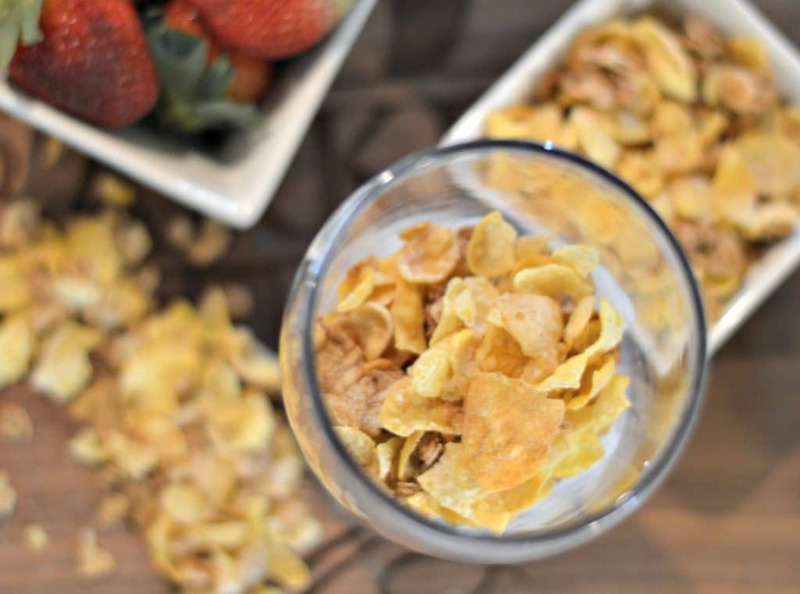 Add a layer of the greek yogurt to the bottom of a large glass cup or bowl.